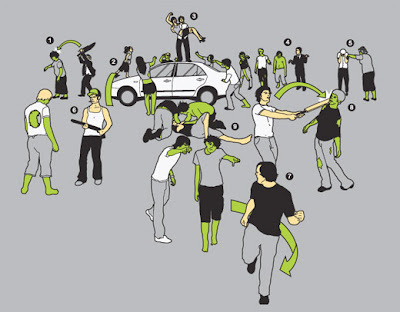 Some new zombie shirts are popping up that may be of interest. First, our friends at FearWerx have a some new designs to add in addition to the classic ones they have been offering. 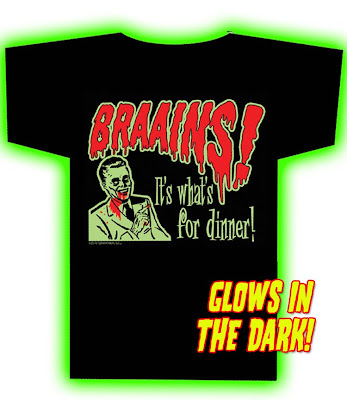 They also have some Winchester Tavern attire that does not appear with a normal "zombie" search. 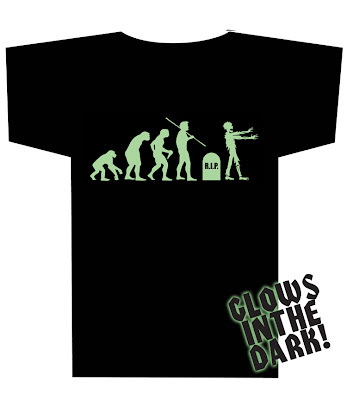 Their new shirts include a "No Running Zombies" design and, my favorite, the glow-in-the-dark "Zombie Evolution" shirt. 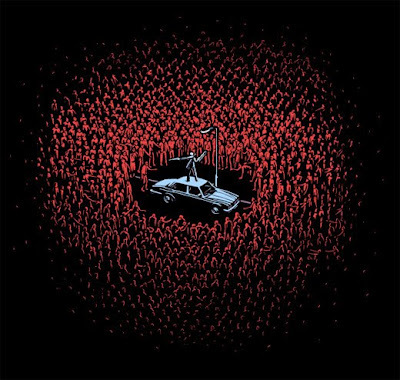 Threadless T's have also unearthed some previously sold out designs including "The Horde" and "In Case of Zombies". 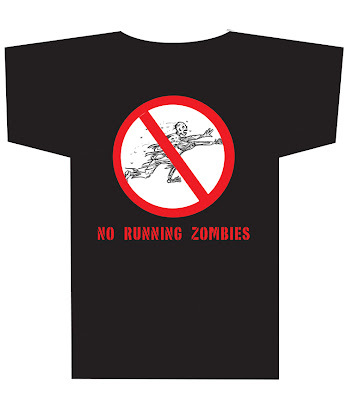 Sourpuss Clothing also has a ton... and I mean a TON of various zombie accessories. One thing I found interesting and just in time for summer is the zombie bikini. Oh I LOVE EM ALL! !